Our clients are constantly asking what our thoughts on marketing videos are. We’ll tell you, we think they’re great, if done well. That is the key though, if they aren’t attention grabbing or eye catching or whatever other clever phrase you’d like to use, then they aren’t going to work. So what makes a marketing video great? Usually people assume the only way to make a marketing video great is by hiring an industry professional who will likely come at a major cost to your business and while a seasoned professional is a great option if you have the funds for one, it’s not the only answer. There are simple ways to put together an effective video that will work for your business without emptying your wallet completely. 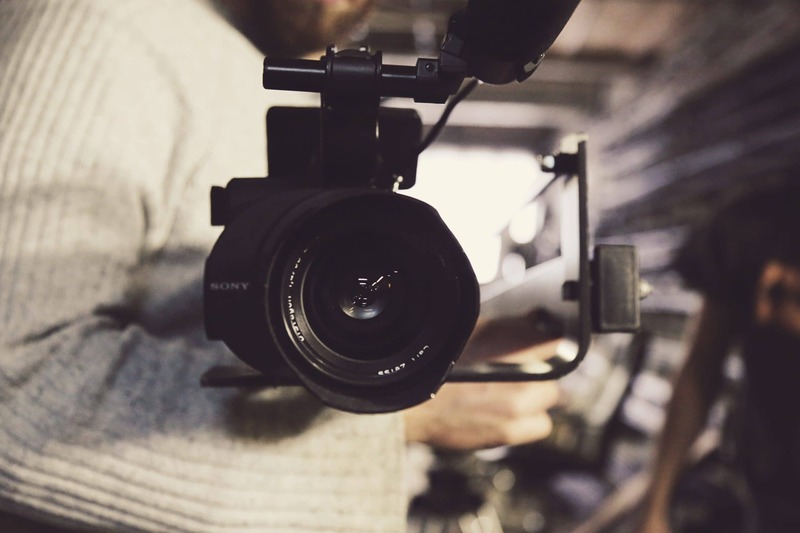 We’ve put together five simple tips to help you create a memorable video that will market your business in a cost-effective manner. 1. Highlight who you are, really. It’s rare to have a completely unique business that has never been done before. So while you may be opening a new restaurant that has great food and wonderful customer service, there are a million other restaurants that also claim to offer the same thing. When you’re creating a marketing video it’s important to show off your business personality. Are you quirky and personable? Show that off! Are you exceptionally bright and maybe a tad nerdy? Be proud and (humbly) show it off! You need to highlight who are because it’s likely your business personality that will attract customers, and not your product. If you’re camera-shy and you know it, that’s fine. Ask your business partner to star in the video rather than you-or play up your discomfort instead. Perhaps you don’t need an ‘on-camera’ star and you can narrate the video in the background whilst showing off some of the interesting behind the scenes footage. People love to see what’s happening behind the curtains. If you have a unique process or impressive kitchen (or whatever your business is) then go ahead and show it off. Whatever you decide to do, always aim to make your video relatable. The more relatable it is, the more likely someone will share it. 2. Make sense of it. Whatever theme you decide to go with, make sure you’re taking the time to explain what you’re doing to the viewers. Often business owners create videos that don’t make sense to the average viewer because they assume the viewers have the same basic knowledge of their business as they do. Assume the person who is watching your video has no previous experience with your business; they’ve never heard of you and this is the first interaction they will have with you. If you have a physical product, show them the product. Demonstrate how it works. If you have are a business that provides a service, take the time to show how that service stands apart. If there is a typical issue in your industry that people always face, make light of it and then show how you’ll do it differently. As long as the viewer understands your business at the end of the video (and didn’t fall asleep during it) then you’ve done a good job. Similar to the above point, take the time to stretch our your video into a comprehensible story that is interesting to the viewer. Make the story relatable, funny, quirky or whatever other adjective describes your business. Plan it out. You shouldn’t start shooting your video until you’ve got a plan. Those of us in the industry call this a storyboard (and we can help you create one if you need it) but you need to take the time to plan out exactly what you want to be doing. A full storyboard would include a visual of what will be in each scene, a description, dialogue and any additional elements required. At the very least you should have your dialogue and locations pre-planned but keep in mind the more planning you do, the easier it will be for you when you actually shoot and put together the final product. You may also want to consider the possibility of a series. If you’re telling a story think about what the next story might be. If this video is a successful as we hope it is, you should definitely capitalise on that! While we’re sure your storyboard is clever and interesting, it’s still important to ensure you’re giving the viewer some value. Think about what your potential customers are interested in, what concerns they may have, questions they need answered or problems they need solved and provide the solutions. If you’re giving them more value than just your sales pitch, you’ll be surprised how quickly people will share it with each other. All it takes is a handful of people who find your video helpful, funny or clever enough to share and you’ll see some great results. 5. Get it in front of people! Now that you’ve completed your video, it’s so important to get it out there and hopefully viewed by your potential customers. There are a couple of really essential last steps that could make or break the success of your video. Think of a great title. Ask yourself, would this title make me click on this video? If not, think of another title. Brainstorm at least five different options and pick the best out of all of them. Pick the best thumbnail for the cover. Flick through all the scenes of your video and use the one that you think is the most compelling as the cover. Share it! Upload to Facebook, YouTube, Twitter, Instagram (if it’s short enough) and write compelling copy to go along with it. When you’re writing the copy, ensure to include hashtags as they will help people find it when they’re searching. Ask people to share your video! If in the end your video is something you’re not proud to have representing your business then don’t use it. Chalk it up to great experience and try again or if you’re still not confident that you’ll be able to create a great marketing video on your own, that’s okay! Chilli can assist you with the creation of a great storyboard and we can even recommend wonderful videographers who can assist. Interested in learning more about how to market your business? Download our Social Media eBook here.